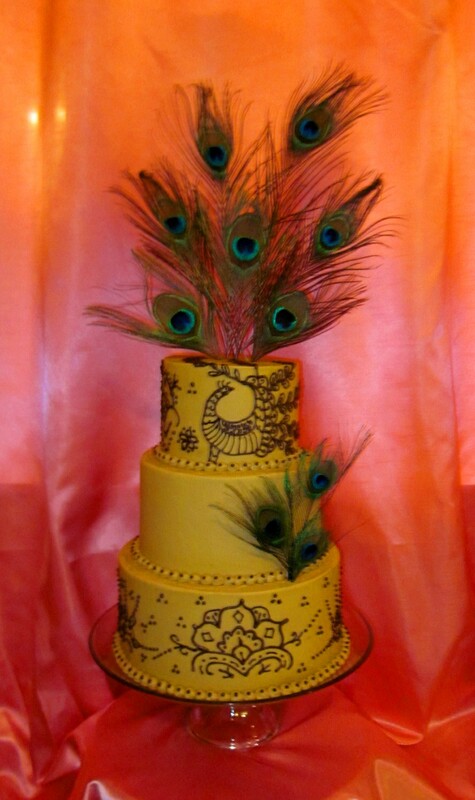 This beautiful Peacock Feather and Henna inspired cake was for a wonderful bride with a bohemian spirit. 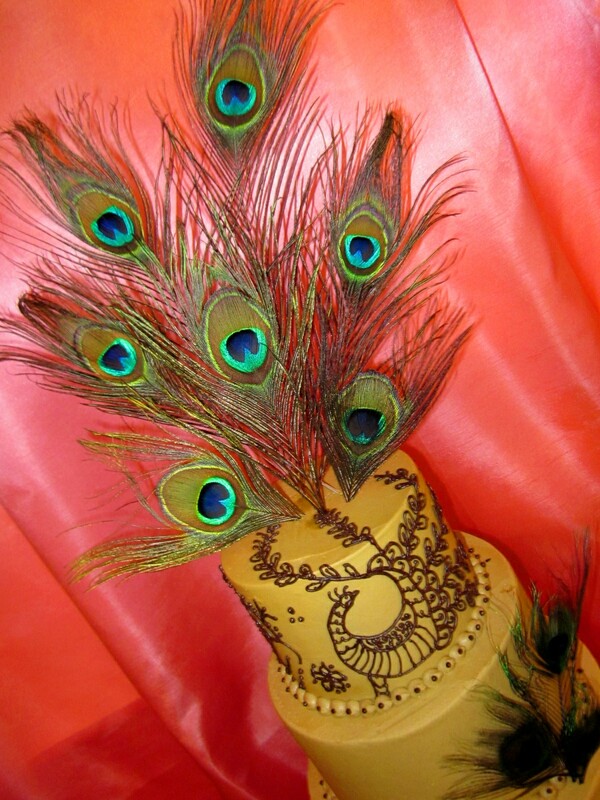 The piping is based on a henna design. Each tier of the cake was a different flavor including one that was gluten free. 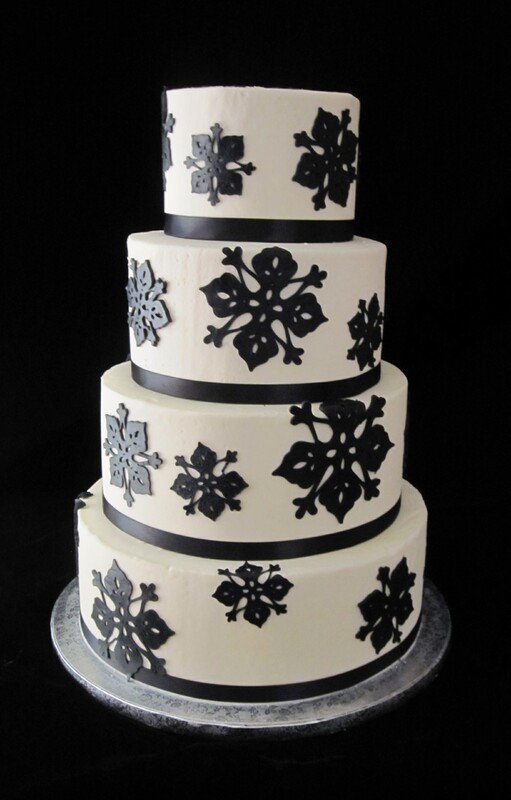 The cake was delivered to Natasha’s in downtown Lexington, KY.
To schedule a complimentary wedding consultation and tasting, call The Twisted Sifter Cake Shoppe at 859-238-9393. For more information visit our website at www.TheTwistedSifter.com. 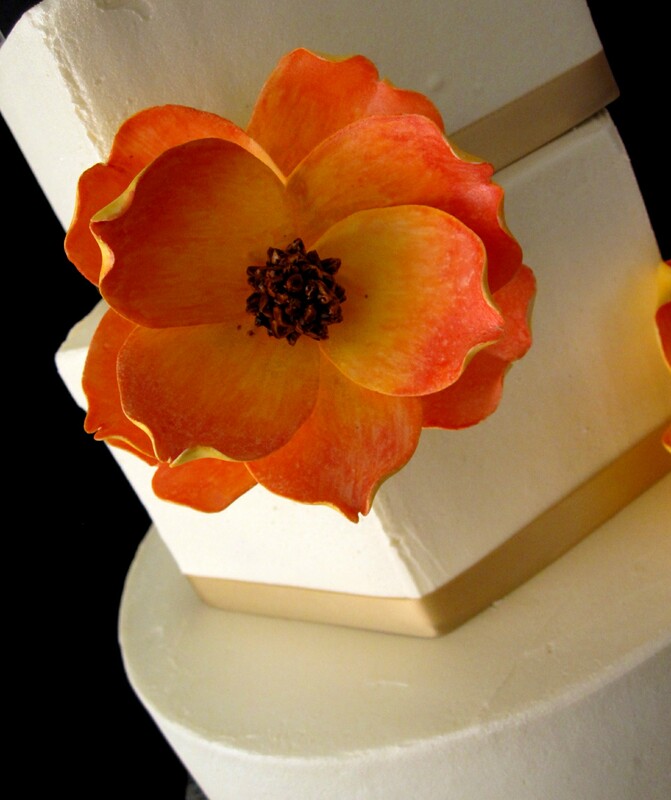 This gorgeous fall 3 tier wedding cake is utilizing the square, round and hexagon shapes. 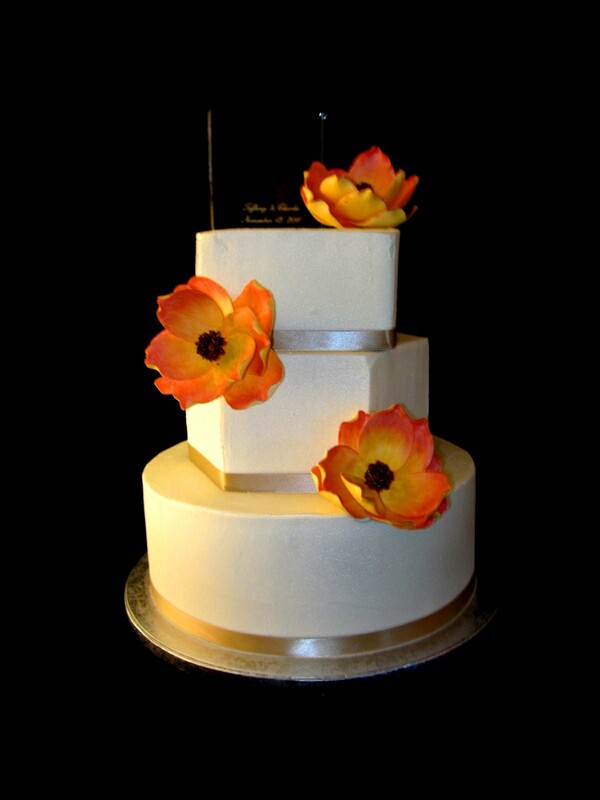 The cake is iced in a vanilla buttercream and adorned with a champagne satin ribbon with hand painted magnolia flowers. The flowers were painted with red and yellow luster dust. 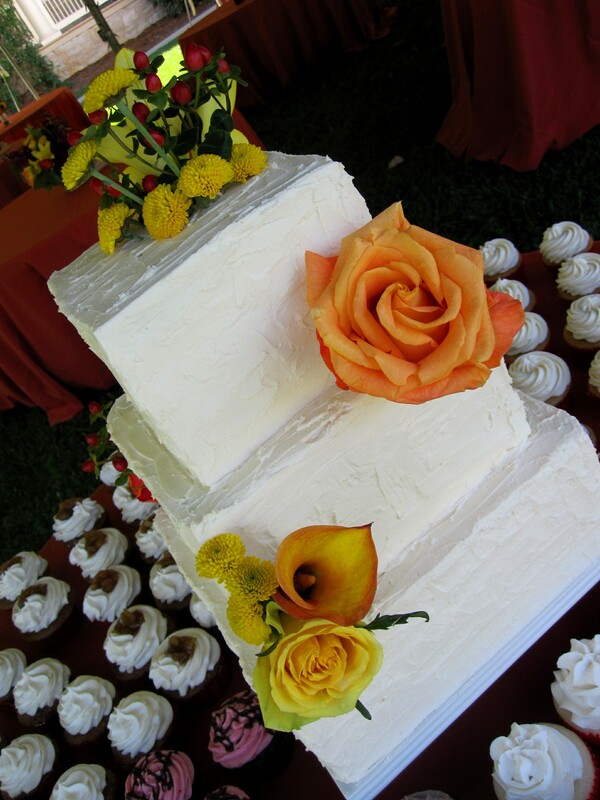 This pretty textured square wedding cake was accompanied by several different flavored cupcakes. The wedding was outdoors under a tent at the Berry Hill Mansion in Frankfort, Kentucky. 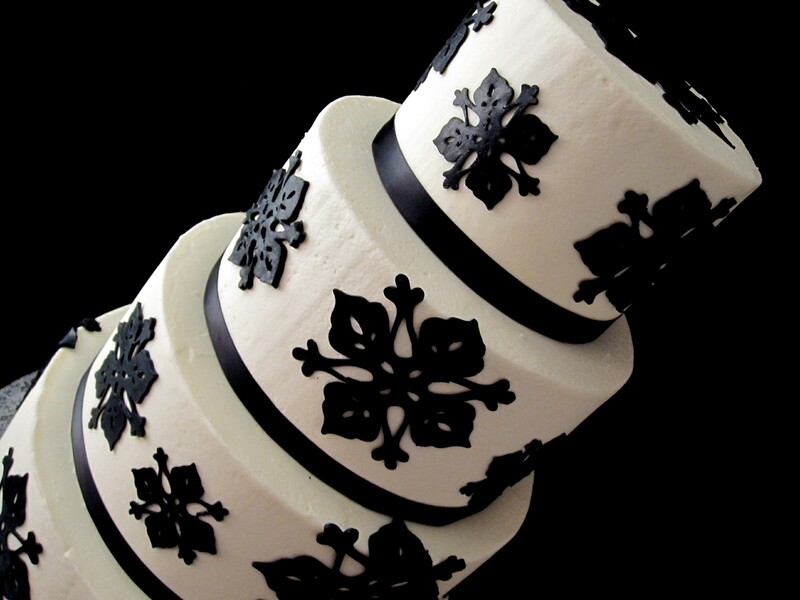 The cake was iced in a vanilla buttercream and adorned with fresh flowers. 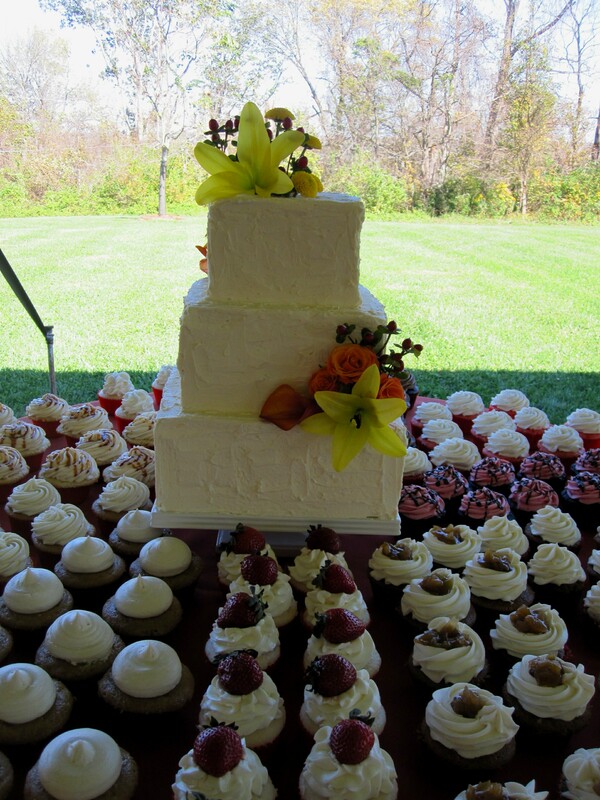 The cake flavors were red velvet with cream cheese and honeyed cinnamon with vanilla buttercream.